The Digital team redesigned the screen flow, instructions & visual treatment and improve the overall experience to make it familiar, simplified and quick for their customers. Screens are template-based and can be easily modified at any time. The main screen incorporates visual language elements such as the Axis texture, 24X7 Speed banking strip, Blue colour-coded status arrows and an unique Axis colour texture Progress Bar. 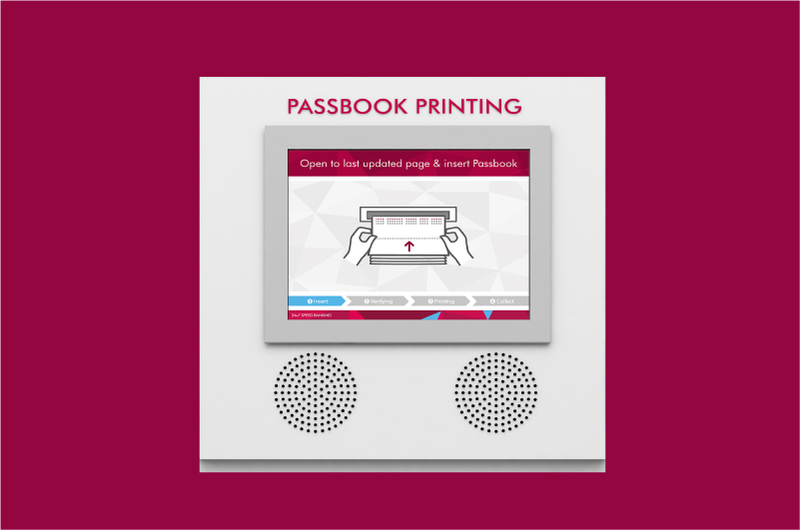 Axis bank has currently rolled out 50+ PPM Kiosks with the new improved interface and plans to roll-out more in the near future. Happy printing!